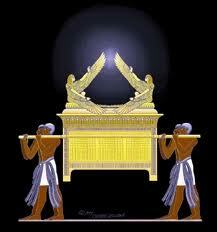 ARK OF COVENANT RESTING BENEATH TEMPLE MOUNT? It would almost inarguably be the greatest archaeological find in history. Movies have been made about it. Voluminous books have explored its whereabouts. It’s an artifact that combines faith, science and history. It’s the Ark of the Covenant – the gold-laden box made by Moses with the specific instructions of God to hold the Ten Commandments and serve as a meeting place between man and his Creator. One of the persistent theories about the whereabouts of the Ark is that it lay buried in secret tunnels and passageways constructed by King Solomon for the specific purpose of keeping it from enemies who might one day capture and destroy the Temple. Now there is compelling new evidence that’s just what happened – and that the Ark still rests beneath the chamber known as the Holy of Holies, moved there through an elaborate machine constructed under the direction of Solomon long before the invasion of the Babylonians and the sacking of the Temple. Most of the evidence for this theory of the Ark’s location comes right out of the Bible But WND has confirmed at least some of the story with archaeological sources secretly working within the tunnel structure beneath the Temple Mount. Even more astonishing is the theory propounded on the specific location of the Ark – a theory that, if true – would have more meaning to followers of Yeshua as Messiah and Savior than most Christians could ever imagine. Without question, the Bible seems to detail the lengths to which Solomon went to protect the Ark, with a sand-hydraulic elevator in the Holy of Holies. An emergency escape route and the stone sarcophagus in which the Ark was hidden during the siege by King Nebuchadnezzar have already been discovered in the tunnel system that honeycombs Mount Moriah.